Most women either love it or hate it. I simply see it as yet another good excuse to hit the road or hop on a plane. I mean, celebrating a love—new or old— is a pretty damned good reason to plan a romantic getaway. You’ve got slightly less than a month to get it together, and I’ve got some awesome destinations for you to choose from. 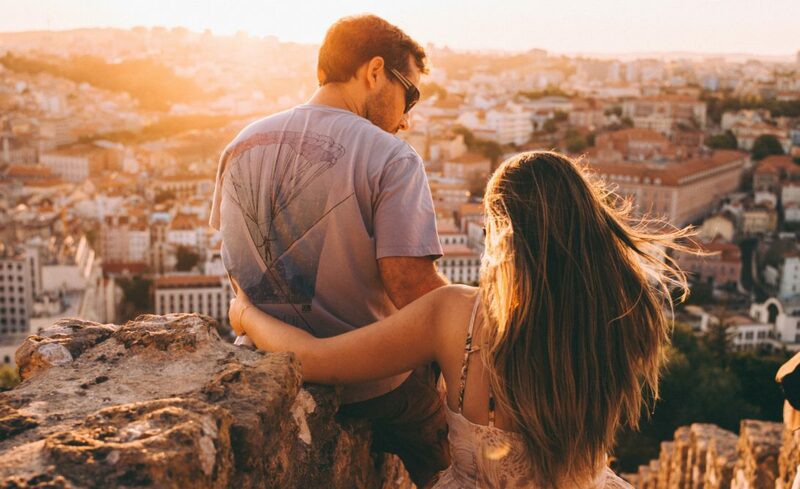 The following are 4 of the best cities for a romantic getaway. Sweet, sweet Catalina. If you live anywhere near the west coast, the gorgeous city of Avalon and Catalina Island offer the ideal romantic island escape experience. From Long Beach, California there are only two ways to get to the island: by boat or by helicopter. Both options come with the opportunity to spark romance. The Catalina Express shuttles people to the island on a 22-mile, hour-long scenic cruise. Standard tickets cost approximately $36. But, you can level up your experience when you purchase a ticket to the Commodore Lounge where you take priority from check-in to arrival. You and your partner can enjoy comfortable seating with a view and a complimentary beverage and snack. If that’s not quite romantic enough for you, purchase tickets to the Captain’s Lounge where you can have your own private stateroom and four complimentary drinks. If you don’t want to commit to an hour commute, IEX Helicopter tours are the way to go. In just 15 minutes you go from mainland to the island while taking in beautiful ocean views. You may even catch a glimpse of the sea life from above. If you enjoy the 15-minute flight, what could be more romantic than going on an island tour? IEX offers half and full-day tours that give you breathtaking views of the city of Avalon as well as the island’s rugged interior. While on the island, book a stay at the Hotel Metropole where you can stay in a beautifully appointed oceanfront mini suite and enjoy spa services at A Touch of Heaven Day Spa. During the day, you can hang out on the beach, cruise the shops in the quaint downtown area, or amp up the adventure with an Eco Zipline tour over the protected Catalina Island Conservancy. 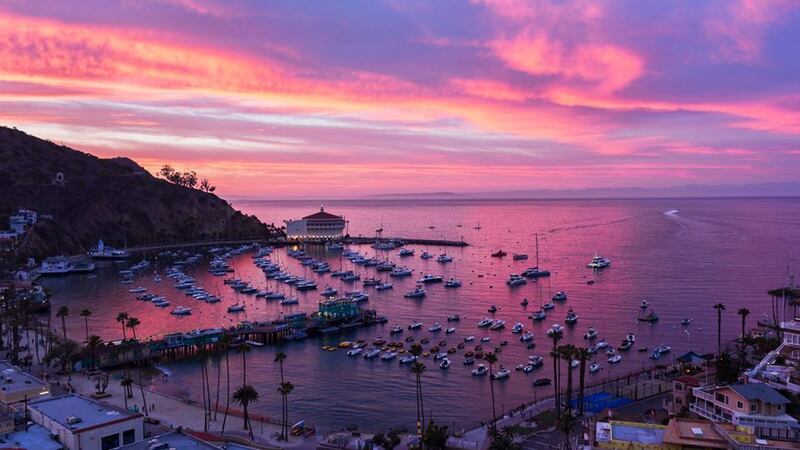 We highly recommend a visit to the Catalina Island Casino for a tour, a show, or a magical twilight experience. When you get hungry, grab a casual bite and drinks at the oceanfront Descanso Beach club. If you are looking for a place for the perfect romantic meal, head to the Blue Water Grill where you will enjoy fresh, sustainable seafood and a stunning view. Or, experience elevated casual dining with views of the harbor at Avalon Grille where beautiful cocktails, grilled hanger steak, and pan-seared scallops await. The buzz about Tampa is well earned. This sunny city is the “it” place to be. If you need a break from the winter weather and want to have a romantic getaway with beaches, waterside strolls, fantastic food, and plenty to do, then Tampa should be at the top of your list. Stay at the Epicurean where guests relax in luxury accommodations and have upscale culinary experiences. The hotel offers three dining options including Elevage restaurant, which is led by the renowned Executive Chef Chad Johnson. You can catch all three meals at the Lobby Bar, which provides both cozy and an al fresco seating options. Or, head to Edge, a rooftop social drinkery where guests dine on handcrafted cocktails and snacks while taking in the Tampa skyline. Don’t forget to book a spa treatment at the hotel’s Evangeline Spa. Spend your days strolling the city’s scenic 2.5-mile Riverwalk. The recently constructed path connects parks, the aquarium, art centers, and dining and shopping establishments so there is plenty to see. Art lovers must check out the Love is Calling exhibit from world-renowned artist Yayoi Kusama at Tampa Museum of Art, which runs through Valentine’s Day. And while Tampa has beautiful beaches nearby; you can enjoy SUPing and Kayaking on the waters right off the Riverwalk. When your feet get tired, hop aboard an old school streetcar for free. The iconic cars will take you from downtown Tampa to Ybor City where locals and visitors enjoy the vibrant nightlife. Go to a concert at The Orpheum, a comedy show at Tampa Improv Comedy Theater, or check out a Flamenco performance at the Columbia! For a memorable date, take a cruise around the bay and enjoy a fine dining experience aboard the Yacht Starship. Or, if you prefer a more intimate cruise, rent an e-boat and pack a picnic to nibble on while you cruise the Hillsborough River. 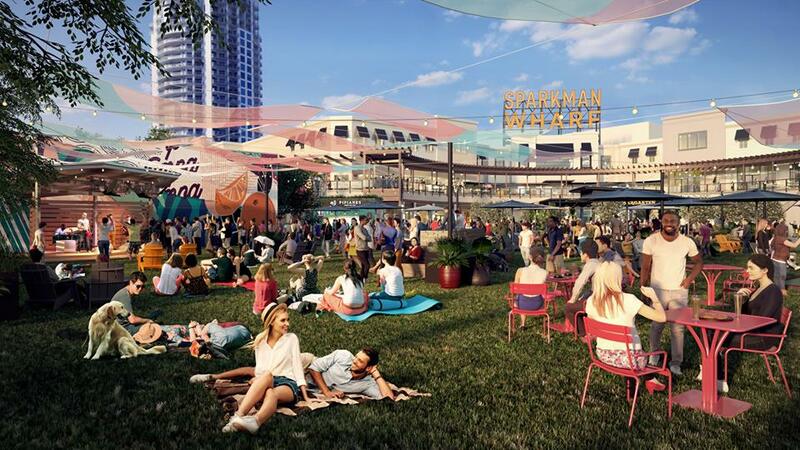 Finally, we can’t overlook the ultra cool new Sparkman Warf —a waterfront entertainment venue— where you’ll find a beer garden and rows of small eateries owned by some of the city’s best-known chefs and set up inside colorful shipping containers! Expert tip: If you aren’t sure where to stay, consider searching vacation rentals. This guide to Tampa Vacation Rentals offers a complete list of all the vacation rentals and accommodations available according to a wide variety of needs. Bonus: it provides, handy tips, statistics, and info about the city as well. Do you prefer a romantic getaway that includes white drifts of snow, colorful cocktails and craft beer, and cozy accommodations? If so, consider Durango Colorado. This cool mountain town is nestled between the San Juan Mountains and the Animas River Valley. 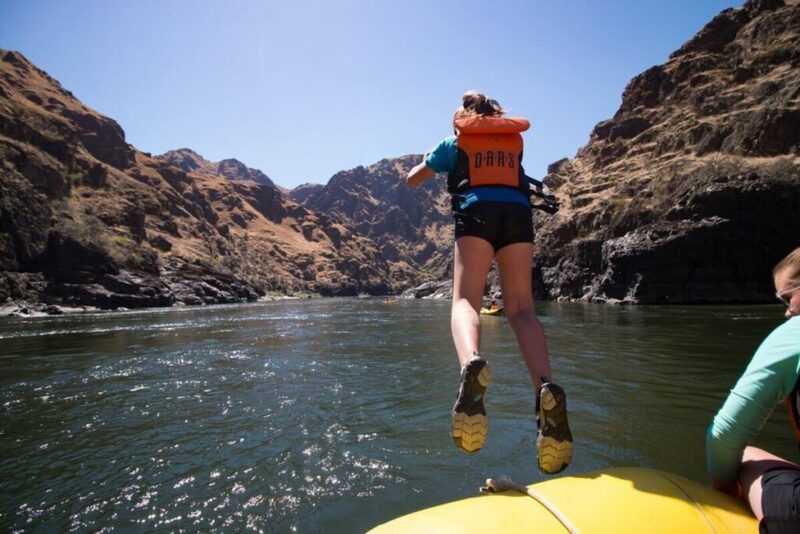 Durango is loved by outdoor fanatics and adventure enthusiasts because of its ample hiking, biking, and rafting opportunities during the warm weather months. But, Durango is a perfect location for a Valentine’s Day retreat because it becomes a literal wonderland in the winter. Go snowshoeing or cross-country skiing together on one of the areas many trails. If you prefer to hit the slopes, head to Purgatory Resort. And when you are done playing in the snow, warm up with a soak at Trimble hot springs. 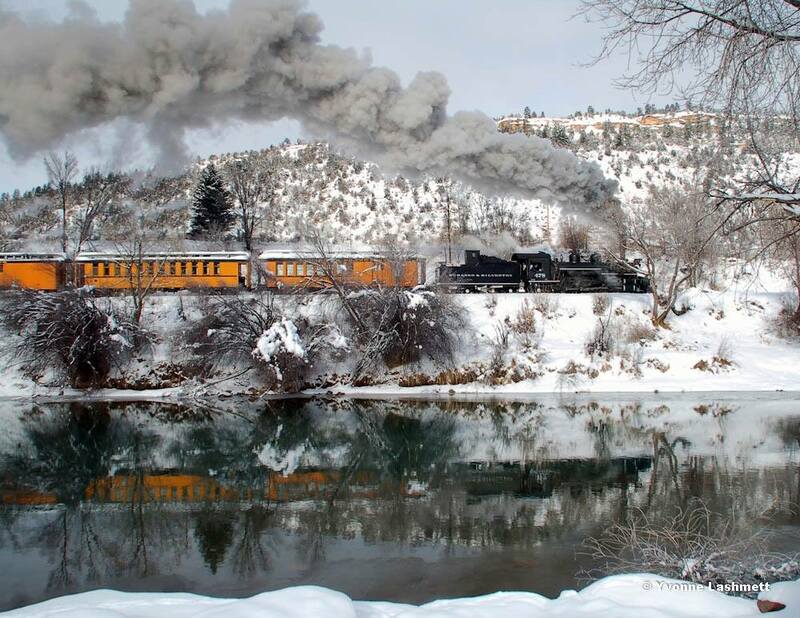 For a unique couple’s experience, take a train ride through the magical drifts on the Durango & Silverton Gauge Railroad. You can’t tell me that doesn’t sound like the makings of a dream romantic getaway. When you are done playing, grab a meal at the Cyprus Café where you can nosh on award-winning Mediterranean cuisine. Or, head to the Ore House where you’ll dine on steak and seafood. For a real treat, make your way to The Bookcase & Barber for a true speakeasy experience. The drinks are made by expert mixologists and will not disappoint, I guarantee! When you are finally ready to bed down for the night, the place to lay your head (or get it on), is the Rochester Hotel. Built in 1892, and later renovated, the Rochester offers unique rooms, each decorated to honor a western movie filmed in the area. The suites are truly charming and there’s a lovely hotel bar and even a secret garden to explore. It just wouldn’t be right if I didn’t include my most favorite city of all in this list: Portland, Oregon. Sure it’s my hometown, but I can’t tell you how many times I’ve done my own staycation here. There are so many places perfect for couples to stay. A couple of my favorites are The Jupiter Hotel in SE Portland and the Benson Hotel in Downtown Portland. The Jupiter Hotel is a funky mid-century motor inn that was renovated and modernized. The rooms are super fun and it is attached to the Doug Lounge where you can catch a meal, drink, and even experience live music. The lounge has comfy seating where getting close with your partner is easy, or you can head outside onto the patio where there are fire pits waiting to heat things up. A historic hotel located in downtown Portland, The Benson is swanky! I’m talking marble floors, sweeping staircases, Austrian crystal chandeliers—need I say more? Along with providing luxurious rooms for guests, the hotel also has two restaurants— El Gaucho and The Palm—that each offer mouthwatering fare. 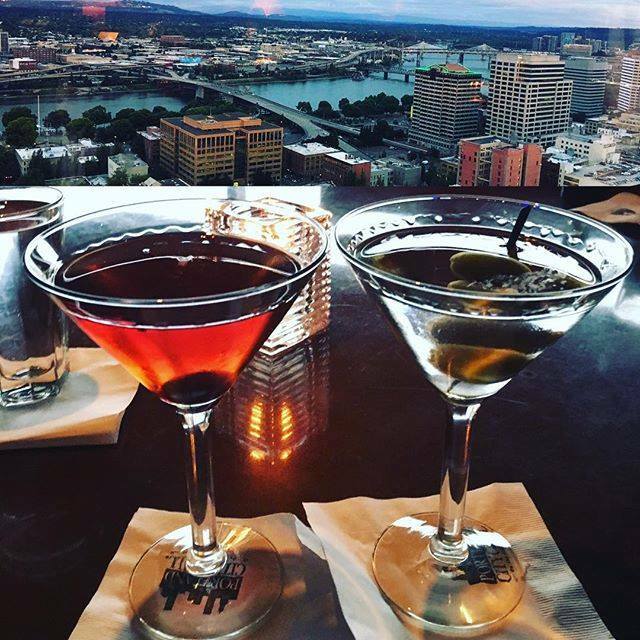 Honestly, Portland is packed with eateries that are perfect for igniting romance, but two that I must mention are The Portland City Grill where you can take in sweeping rooftop views of the city while sitting at the piano bar (go at happy hour) and Huber’s. Huber’s claims to be the oldest restaurant in Portland, and they also try to lay claim to being the birthplace of the Spanish Coffee. While I’m not sure about all of that, they do put on a pretty terrific show when they make one for you! Be sure to order one. When you aren’t busy eating, imbibing or cuddling in your hotel room, check out the Portland Art Museum or take in some live theater at the historic Gerberding Theater at the Armory in Portland’s Pearl District. Imago Theatre puts on innovated stage shows, and Keller auditorium and is another fantastic venue. Portland is known for having fantastic local music, so along with the Doug Fir, consider checking out Mississippi Studios, Revolution Hall, and the Aladdin Theater. If you want to go dancing, you must hit up the Crystal Ballroom and experience it’s floating floor. And as long as you are in town, you should soak in one of the Portland McMenamins pools. So now you have some great ideas for fantastic romantic getaways. If hating Valentine’s Day is your go-to, why not try something new. Use it as an excuse to travel, explore, and have some romantic fun with someone you love or love to romp around with.